We do not have belts and grading at Sung and learning a form is not a privilege we hold back for those who meet an arbitrary requirement. If you can maintain the correct state whilst under pressure in a consistent manner, then it is time to test that by introducing new ideas. As your body digest that new info you will fail and keep failing but over time the successes will outweigh the failures and then it is time to move on again. You do not have to be perfect. So my plan is to keep introducing bil jee ideas to those who are ready or nearly ready and work through the form; likely to be with a group of about 6-8 students. If you can only train once a week then this may be difficult to add this work to the other stuff (standing, SLT & CK) so either work more at home or you can excuse yourself from the extra pressure. There is no race and you need to be honest with yourself. People who have completed the CST system will all testify that the SLT is the most important part of the method (and the most important part of the SLT is the standing practice). However if you see the system as a jigsaw, you only really understand the puzzle is you have seen the whole picture and know where everything fits. What is the most important part of a car, the engine, the wheels? You need to have all the pieces connected together and working or you are going nowhere. I will probably teach the Bil Jee in about three rounds, first the movements with the rotation of chum kui, then add spinal rotation and finally add the magic sauce. And funnily enough you will come to realise that the magic sauce is that bit we talked about in the first lesson when we introduced the SLT. 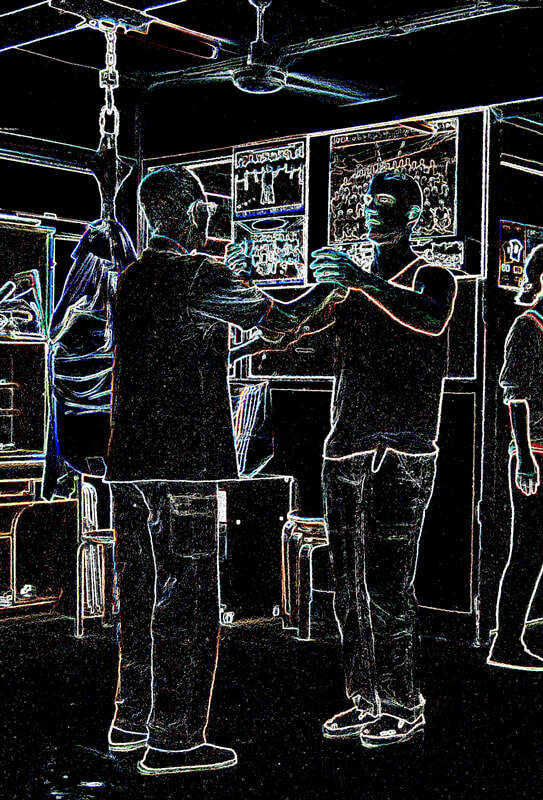 When I started teaching wing chun I felt an obligation to pass on the art in the traditional manner. 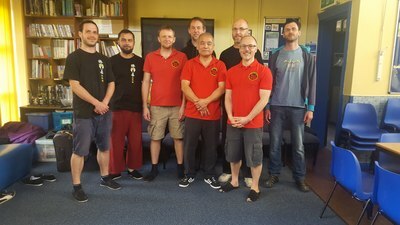 Students should first learn the Sil Nim Tao, then start chi sau with bong/tan, then fook sau, followed by rolling hands, Chum Kui and Bil Jee etc. Only moving on once they understand that which came before. On top of this at Sung we have a heavy emphasis on standing practice and structural tests, as this was an important part of how CST taught. I have met many people who learned differently. 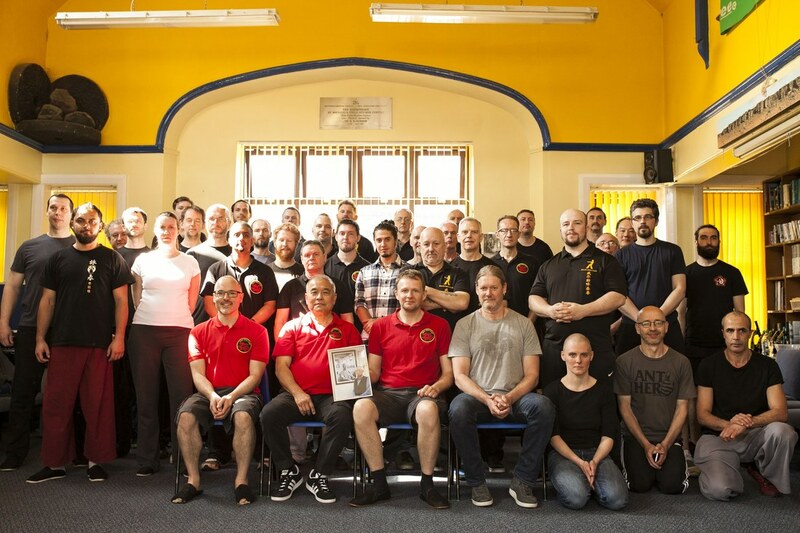 The classes they came from had them rolling and doing chum kui after a few lessons, but almost all had no sense of structure even if they had trained many years, so to me that approach was flawed. They were unable to stand up to anything approaching real pressure. 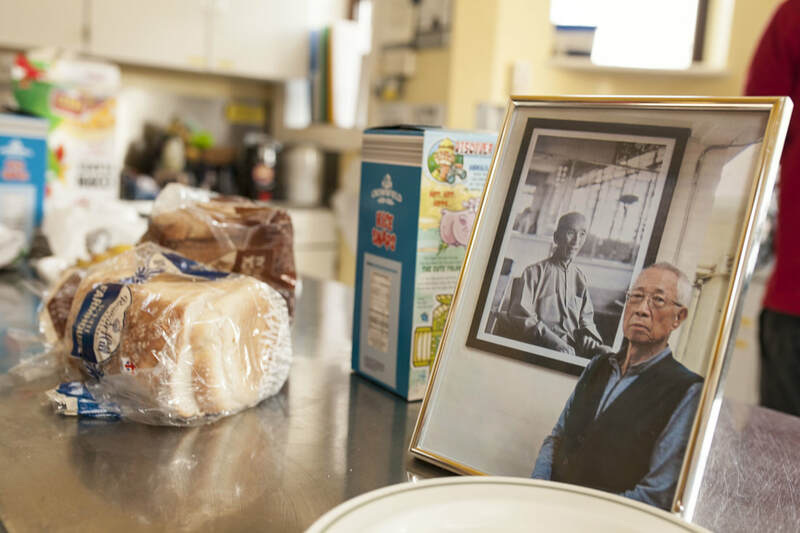 We decided at Sung to teach in a way similar to what was taught at Si Gung's kwoon, this was despite being told by people from our own lineage that it might not be a good idea as the average student would prefer something more commercial. But to be honest, we are not after the average student who has the concentration span of goldfish. The paradox of SLT is that although you are apparently standing static as you practice the form and only moving your arms, it is not about isolated arm movements at all. It is about how you integrate your arm movements with the rest of your body and move as a unit. We talk about moving from your centre, but really this is shorthand for saying you utilise your whole body mass in your movements; when one thing moves the whole thing moves, even if others cannot see it. You are not actually still whilst you are standing to do the from, it is a constant release into the floor and a corresponding release up from the feet, legs and up through the spine. Are you going up or down? Both actually but at the same time. We get people come to Sheffield from far and wide for private lessons to see if what they have seen on youtube is for real. Some have only done wing chun for a few years and suspect that their sifu is not quite doing what they say they are, and others are teachers of other lineages themselves whom want to delve deeper. It is not easy in a few hours to pass on to someone how to do what we do. We can demonstrate the logic of it, the power of it, the deficiency in what they might be doing, but what can they take away? They already know SLT movements, but the habits they have of pulling in muscles and pushing into the elbow really hinder them from finding relaxed power. Recently I have found some something that does help. 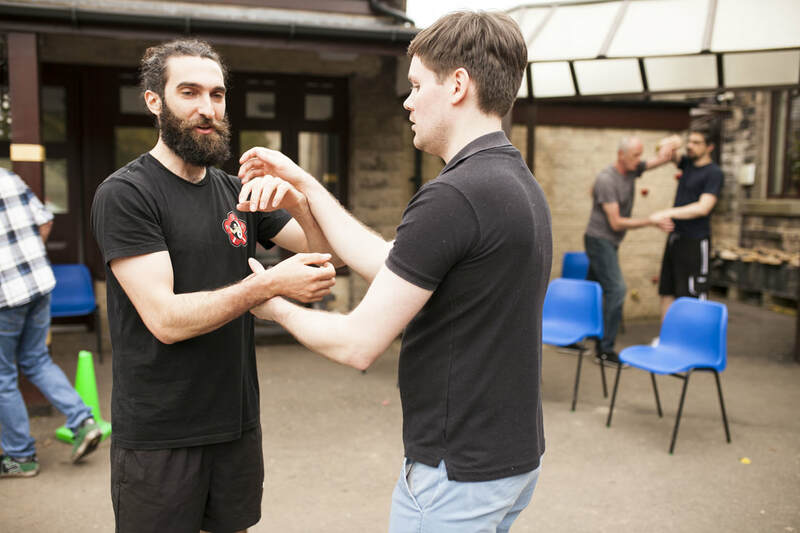 Instead of working too much with SLT, most people can be helped to get a connection to their centre when doing larger movement, when they can feel a connection from their feet through the body to an outstretched arm. This might be akin to a movement from the chum kui or even bil jee. Once they are set up in this movement, it becomes obvious how the power can work effortlessly. 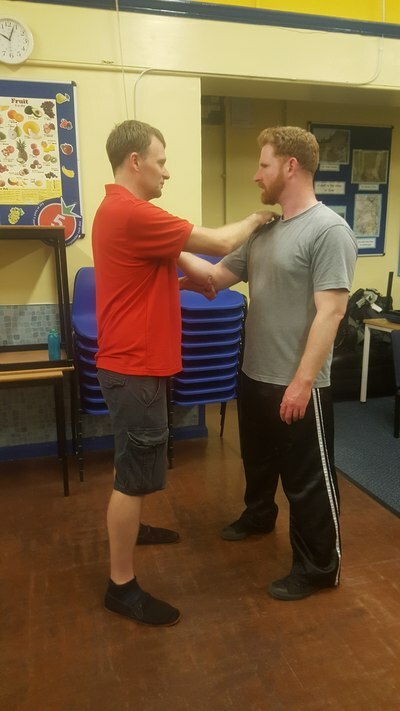 From here with careful adjustment the position can be brought closer to recognisable positions of the SLT, whilst maintaining the connection. It becomes obvious that even a tan sau utilises the whole body.The irony is though that once a recognisable position in found, poor habit and alignment immediately kicks in and the power is lost. However this transition point does give the individual a signpost, a method of identified when they loose connection. I don't think I am the first to think this way, Mark and Jon work in similar ways, I have experienced people like Ma Kei Fai and John Kaufman do it and I see Mark Spence help his students get the connection first and from there all things flow. There could be an argument for starting with bil jee form first and reducing it down to the refinement of the SLT later. 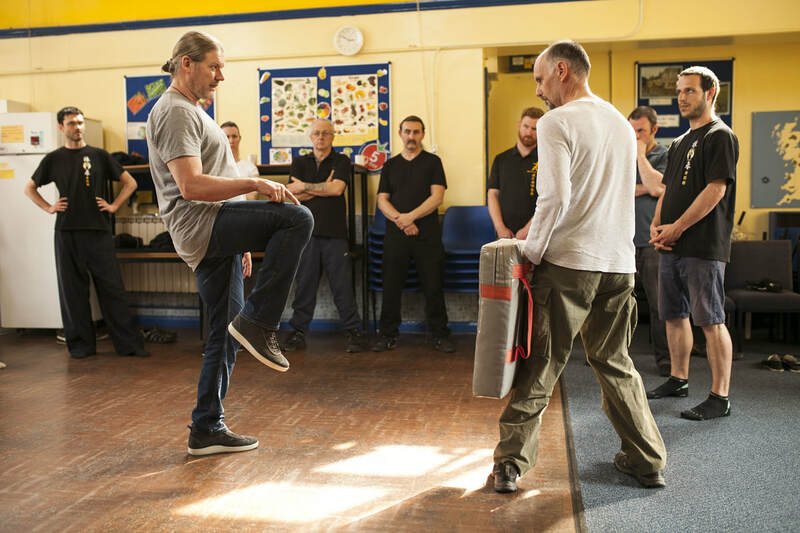 I call the SLT the old man form, become for someone who has trained a lifetime like CST or Ip Man, they only need a small movement to utilise their body mass whilst others need large winding movements. However, teaching this way in a large class would be impossible, you need the hands on instruction to get the body knowledge along with standing practice, or an individual will just be relying on speed without usable mass. I have decided that in teaching I will do away with the restrictions of hierarchy related to the forms. I do not believe in levels and gradings so why restrict someone from learning what they need to learn when they need it. 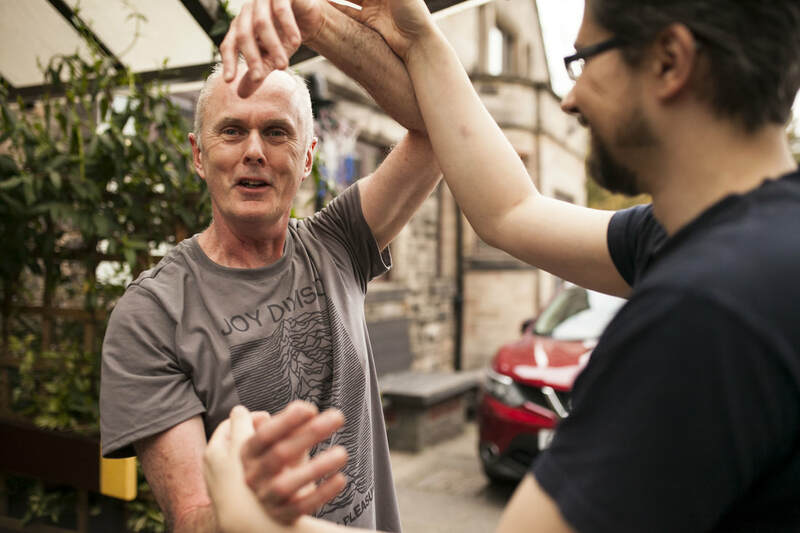 What we need to recognise is how we connect our bodies, so if you require a large spiralling movement to get that connection, then we can start there and refine it. This does not mean that students will learn the forms in the wrong order, but movements can be discussed and learned at any time they are appropriate. 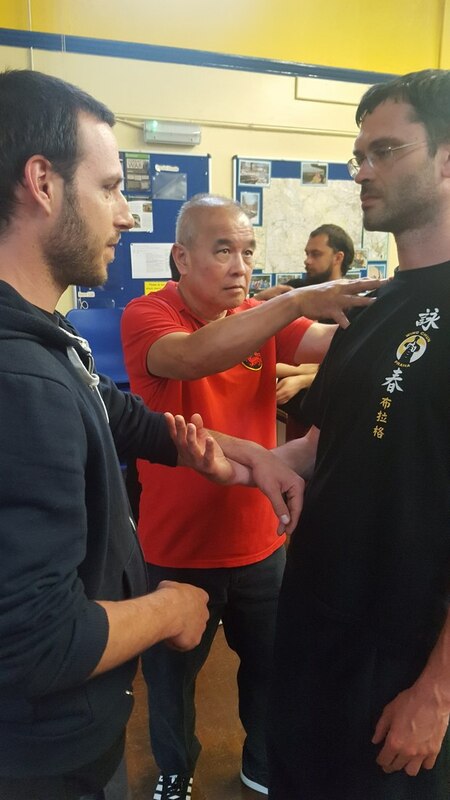 In that way it might be quicker to learn the whole system and really you cannot understand the wing chun system if you have only experienced one part of it. So connection is the key, the mind, limbs and body all working together without the clutter of habit and ego getting in the way. Instead of throwing an arm at someone, direct 70 or 80kg at them and they will know what power feels like even if it is only moving at slow speed. I've never been asked by anyone to feel what a one inch kick feels like for a second time, but sometimes we all need a kick to get us thinking. Most people are aware of the 5 basic senses which guide us through our daily lives, but not many have any appreciation of the 6th Sense. Kinesthetic ability is our sense of our selves, our body in space and the relationship between the parts of our body (our joints). Most are so interested in what they are doing they have no appreciation of how they are doing it or what harm them are causing themselves. A basic example being someone punching a bag endlessly and not noticing the growing tension in their shoulders, the restriction in their mobility and loss of sensitivity in their hands. Kicking is even worse, most people can only kick hard by throwing their balance into it and losing all stability. If they miss the target they virtually fall over. Experience has told me that most people have very unreliable kinesthetic sense and this includes wing chun practicitioners when they first come to train at Sung. 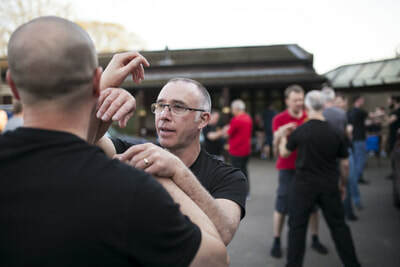 I hAve shown some students a hundred times why their wing chun drilled movement will not work on me, but when faced with the desire to do something the muscle memory kicks in and the sense of the self fades away. 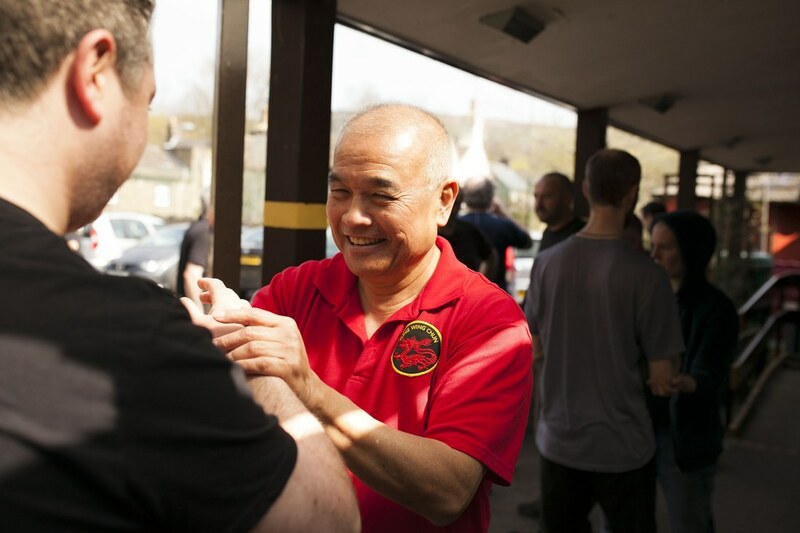 People are a victim of bad habits (and bad wing chun). Wing chun (for me) is about free choice. Do I defend, control or hit? I decide. If the circumstances change ( he lunges at me) I am sufficiently uncommitted that I can adapt accordingly. 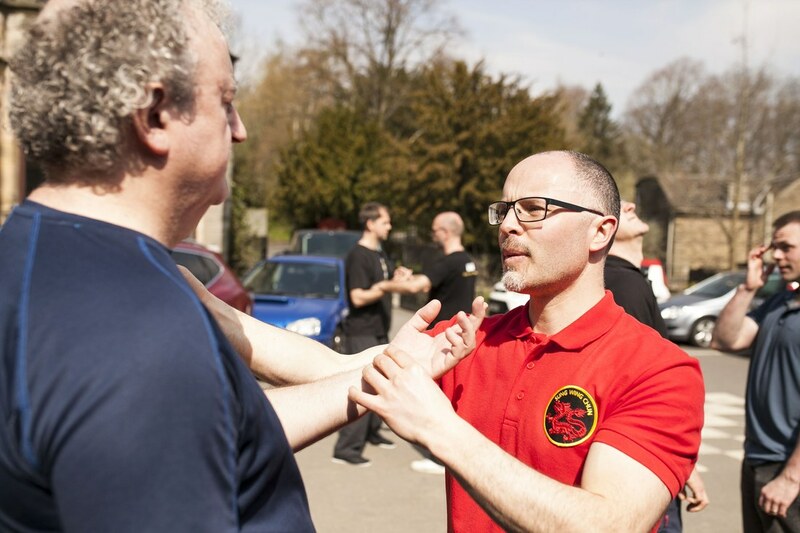 Without this choice wing chun is just a set of patterns without any life. That is not CST wing chun. So, how do you learn this? Once you are past the basic stage of learning at that point videos and books are really helpful, but first you need the basic re-education of your senses. There is only one real Rosetta Stone for this and that is hands on transmitting from someone who has walked the path before you. Although it becomes a continual refinement, the first step has to be to spend time with someone who can feel where you are going wrong and let you know why the sensations you are getting is not right. This is true mindfulness and once you get that you can become your own teacher. In fact the majority of the time spent with students is doing just this. The wing chun bit is then relatively easy. I have said to many people when chi sauing that I have not even started doing wing chun with them yet. They cannot deal with the tension my releasing is causing them so adding extra technique is a waste of my effort. 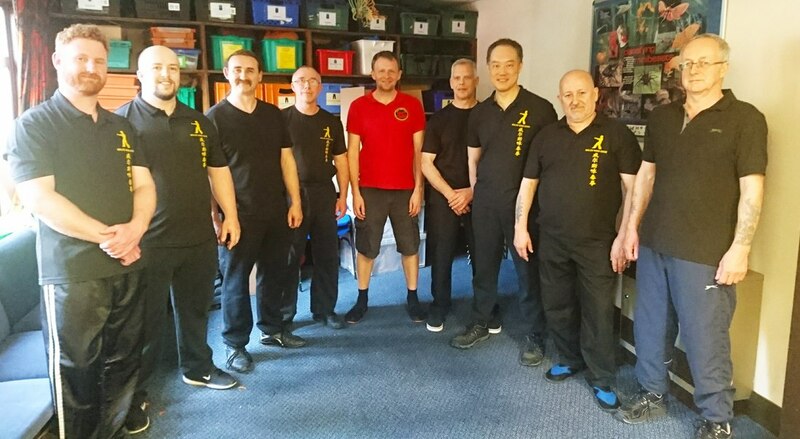 Now when I get emails now from strangers asking how they can improve their wing chun, I have to be honest and say find a good teacher. There are only a few about, but just watching and emulating videos will not work unless you get an idea of what wrong and less wrong are. From there you can keep practicing and improving on the 'less wrong' (which is what all of us are actually doing). Wing chun is primarily an art learnt from direct transmission. I am very hands on, this comes from thousands of hours wing chun teaching experience and hundreds of hours of training to be a teacher of the Alexander Technique. Most people do not sense their own tension and when you ask them to relax they either cannot do it or they collapse. At first it is really hard to tell the difference between relaxing, pulling down and collapsing, and this is why hands-on teaching is the only reliable first hand way to understand how your body works. The learning method involves touch to encourage muscular release so the mind can trace a connection to the body, then later once the pathways are clearer this can usually be done by verbal reminder. The final outcome is that you establish the connections yourself and importantly how to use them. It is not quick or easy, but what meaningful pursuit is? 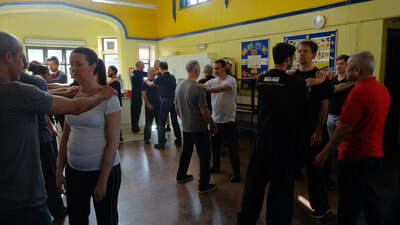 Different areas are easier to relax than others, I tend to work on the shoulder area with new students as most people carry a lot of tension around there, the neck and upper back. Freeing up the shoulder girdle has an immediate effect on how we can handle and produce force. The pelvic area is the most difficult. It is almost always loaded with the weight of the upper body and misaligned due to having to sit or stand all day in awkward positions. It takes time to release deep muscles, this is one of the main reasons that in CST wing chun we advocate standing practice to help the mind get in touch with this areas and dissolve the tension. As a teacher, I do not usually touch peoples feet, but for most they are an area of tension which they are not aware. When force enters our bodies they have to transmit that energy to the floor, so they are a very important link in the chain. You might not think about the tyres of your car much, but get a small puncture and you are not going anywhere. I spent the first several years of my training trying to relax down, relax into the ground (I call this period my pre-Hong Kong training). Without hands on guidance I was relaxing as much as I was collapsing. I now look at my feet and realise that collapse has impacted on my ankles and arches. We do not stand on our feet, we should stand on the ground. The foot is not a flat plimsoll, it is alive; an elaborate vertical construction made of arches. It is not to be pulled down, the earth is coming up towards us. As an experiment think of your naked foot as a hiking boot, the heel separate from the front of the ankle, the back supported and thrust upwards. The balls of the toes take their proportion of the weight and the toes are allowed to lengthen and separate. Allow the hidden support in the arch, be aware of whether your feet collapse in or if you stand on the outer part. If there is only partial contact with the ground the chain of postural muscles within your body will not active and you will have to hold yourself up instead with the wrong muscles (which quickly fatigue). Have a quick look at where your heel is, it is probably further back than where you sense. This is because you probably hold yourself in the front of the ankle. Instead allow the weight to drop into the heel so the support can rise up from the back of your body. Imagine yourself landing on a trampoline and the sensation of release as you are taken up. The irony here is that I do not wear hiking boots, in fact I do not wear shoes with heels. I wear barefoot/minimalist shoes. Although I want the mental idea of an arch, the feeling of support, most shoes restrict the feet and an elevated heel force the body weight to the front which means we have to grip our muscles. We then tend to walk on our feet and lock the ankles and knees. 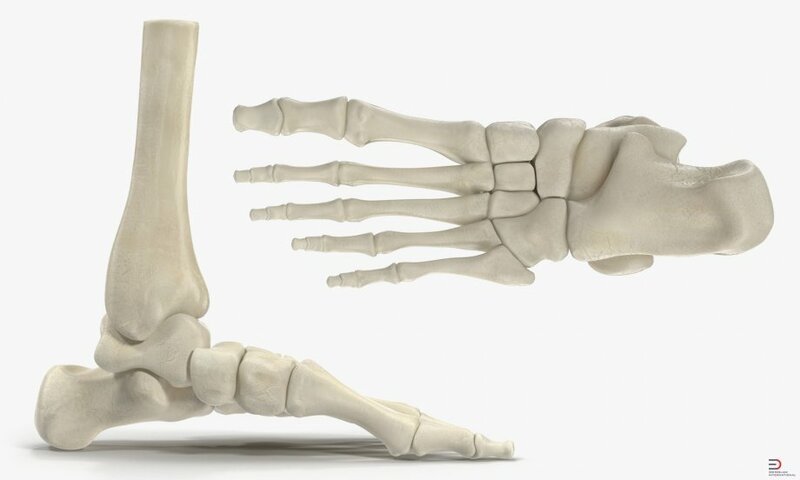 Below is a picture of the foot, remind yourself how long your toes are (they go right into the foot), where you heel is and how delicate an instrument it is. You could think of your foot as a hand and see what changes that makes. 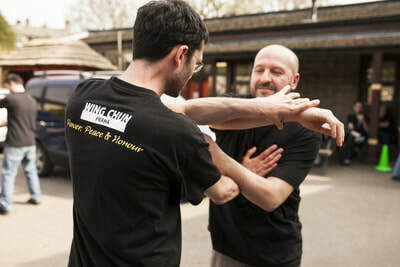 I think most people have got wing chun wrong, in fact traditional martial arts can be so misinterpreted it risks the whole point of them becoming ineffective. If we take fighting strategy out of the equation for a moment, what we have left is body mechanics. If you do not have good body mechanics, your strategies and techniques will never work. Look at successful fighting arts like boxing, BJJ and wrestling, they have good fundamentals, they emphasis physical conditioning, they use there bodies well (good alignment and leverage relative to the opponent) and they stick to basic principles. They may be ‘external’, but they are effective and the fighting strategies of the arts are relatively easy to apply to the mechanics. 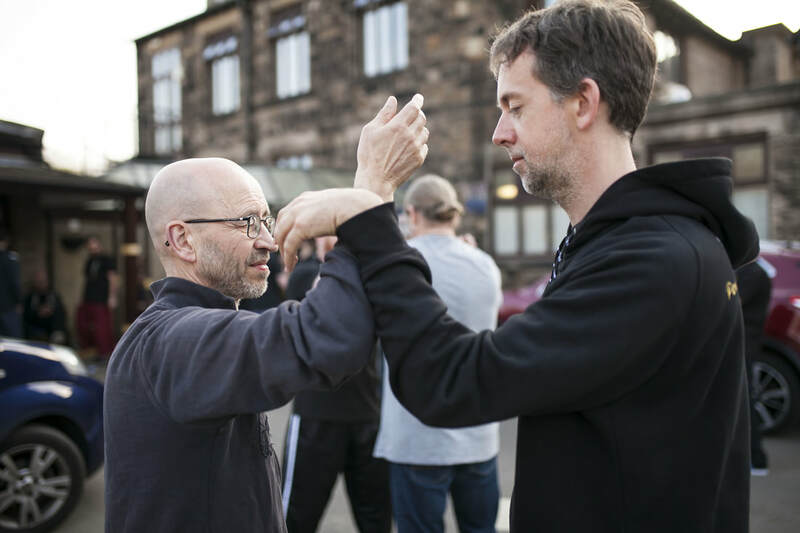 I look at wing chun and I see crazy ideas about optimal angles, perfect shapes etc. What? Optimal relative to what exactly, to who? How can you have an arm shape which is fixed using muscles intended to retard your movement and then call that logical. Why is using your lat muscles to pull your arm into the centre of your body effective in dealing with a force directed at you? Force will come at you from multiple angles and will be ever-changing, and so shape is fleeting. Someone I have always admired a lot is Tony Psaila. Like me he is a grand-student of Chu Shong Tin, although he has trained a lot longer than me and has taught at a high level for many years. A line in one of his videos has always stuck in my head ‘it is not the shape of the arm, it is the state of the arm that matters’. 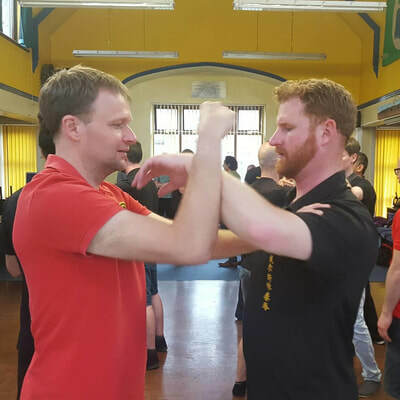 Although shapes are talked about a lot even within my lineage, if you look at greats like CST, Tony Psaila or Sifu Ma Kee Fai, they do not keep static shapes, their movement ebb and flow, arms adapting to the pressure relative to the opponent. And this is my point, your arm position has to be relative to what it is doing, relative to where you are in space and where your opponent is. I would go as far as to say ‘it is not the shape of the body, it is the state of the body that is important’, on the basis that you cannot treat your arm as not being part of your body. 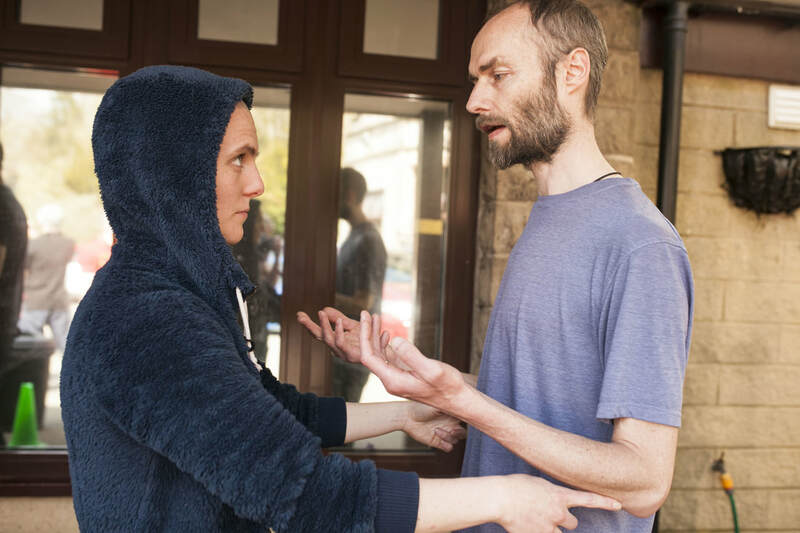 The biggest mistake I see with people trying to use relaxed body structure within their wing chun is that even when they start to tap into using their body mass, they then return to putting their arms into shapes not relative to the situation at hand. Why do a tan, fook or bong if that involves removing your focus from your opponents centre. As soon as you chase the hand you are aligning in the wrong direction. You undo your good work. Instead of trying to do wing chun, you should work the fundamental training processes and let your body do the wing chun for you. Ultimately we seek a method where are no techniques, no hand positions, just point and made the decision as whether you strike. If a bong or a fook shape appears, so be it. This probably makes little sense to people who have not practiced this way. From experience I know it does not come across in words or even video, you have to feel it and do it before you can intellectualise it. One thing I will say is that you do need to think through some basis fundaments. Namely, how does your body deal with force? You only have two legs so a horizontal force is always going to put pressure on your shoulders, lower back and hips. You can use a ‘rear leg’, but that will start the process of alignment which will be only strong in one direction (unfortunately people will adapt and move when they want to hit you). Everyone into ‘internal arts’ now says ‘use the floor’ or ‘jin path’. This may help you avoid localising force and getting it locked in your joints, but even if you direct it to the ground from the contact point unfortunately the ground will not magically eat it up; it will not seep to the core of the earth. In fact all that ultimately gives you is an anchor point but you will still have to deal with an equal and opposite force existing between the floor and your contact point with the opponent. Even when you punch someone you have to deal with that equal and opposite force. Fine if you have the conditioning of a boxer, but not fine for those who do not train that way. What we are left with is our relationship with gravity, our relationship with the opponent and how we deal with the two. Arm shapes do not really help with this. It comes back to the work we do with standing practice, our relationship with ‘up’ and how you have ‘make’ your opponent carry your weight. That I can only teach with hands on experience. 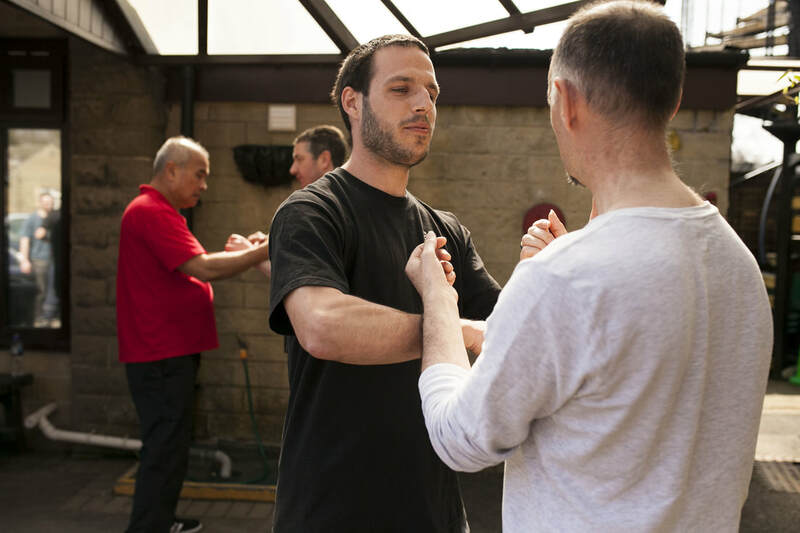 The shapes you eventually make may look like in the wing chun forms, but it is how the joints and the body reacts to force which is more important. A final few questions to anyone still reading. 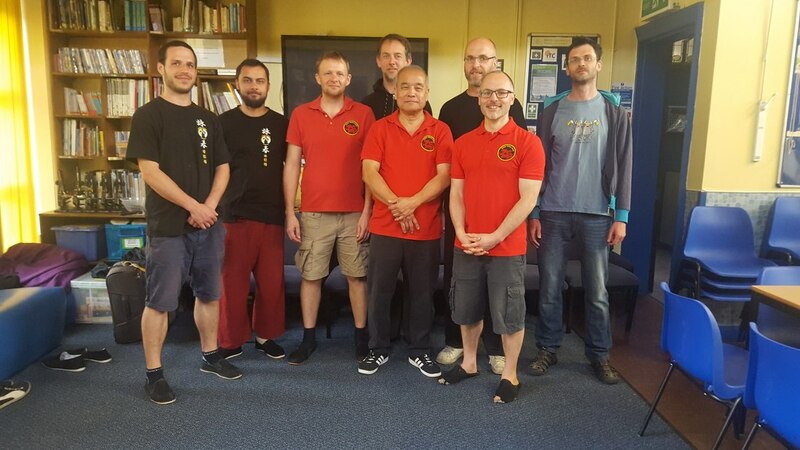 Do you practice CST wing chun and if so is standing practice a core part of your training? Do you really understand why you do it, in the sense of why it will help you deal with force? If you don’t do standing practice, it you do not understand why you do it then my final questions to you are why? Are you sure it is CST wing chun? The one constant factor we all have to deal with is gravity. You can perceive this pulling down as an enemy, as a fight to stay upright, but this is incorrect. Every creature on and plant on earth has evolved to deal with gravity, we are the only creatures which make it a problem by misusing our bodies. When you stand properly the anti-gravitation muscles which surround your bones are activated. You cannot feel them, you cannot consciously alter them, but you can interfere with them by misaligning other parts of your body. Perhaps our eyes and arms are the problem, because they are orientated the front of the body we are constantly drawn forward and down. Even typing this I am looking down, holding my arms up and putting strainn on my hamstrings and back (I am typing at a stand up desk). 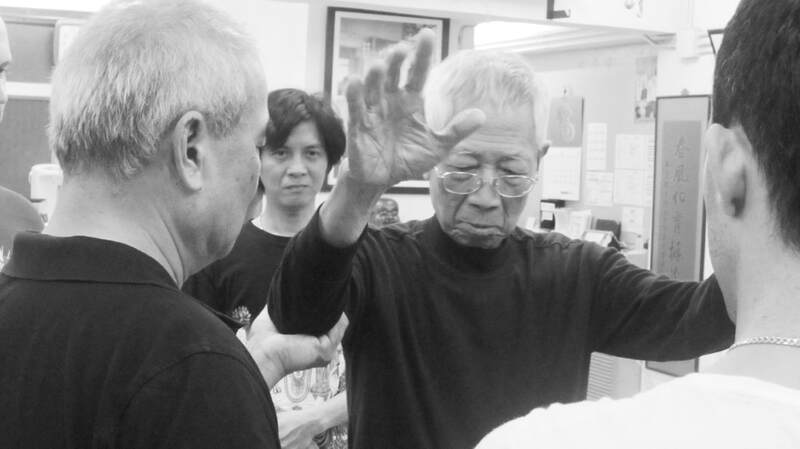 CST wing chun offers us a way to deal with this. The standing practice is there to allow us to shed the unnecessary tension, to allow natural balance and lengthening of the muscles. Your undue tension comes from your mind, no where else; standing gives a chance to stop, to say no to tension. Do this long enough and the body will get more support from the ground and your limbs will feel lighter and looser to you, whilst others will feel your connected body as dense. You can use your conscious mind to influence the subconscious. How important is standing? Relaxation and standing are a conduit for us to get that up flow through our body, to shed the pulling down. 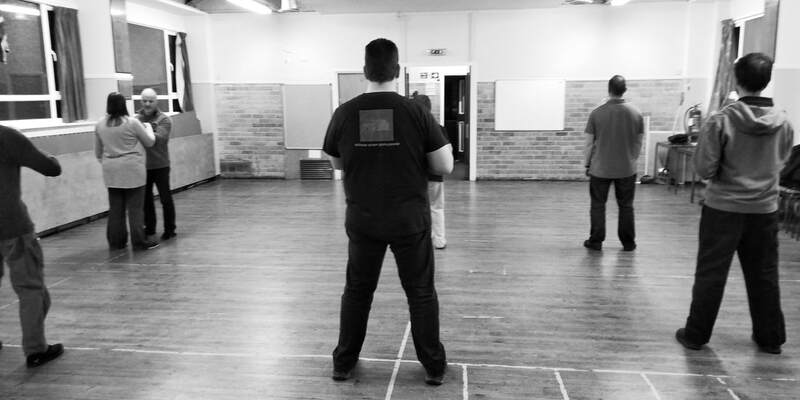 That is more than 90% of what our wing chun is. The forms are there to test that ability when you extend your limbs (does the weight of your arm drag your body down?) and test us whilst we move. Even chi sau is a test of how much we can stay back in ourselves; maintain the state. My aim in chi sau is to maintain the state I have as best as I can, not to beat the opponent. In fact I use the partner to unwittingly help me release up. When you do this well it feels effortless and hitting is easy, that is unless you are drawn in to the target, if you align to the fist you loose all that you have worked on. This is why Sigung had students stand for a year before chi sau; it is so easy to go back to detrimental habits unless we have a clear idea of what we are doing. People talk about rooting; that is fine if you are a tree. But remember that trees are always going up, branches and roots extending away from each other. That is not tension it is a type of tone. You do not need to push the floor or drill yourself into the earth, the anti-gravitational system of the body has got it covered if you can accept force in the correct way. Even better than using the floor to bounce back force, you can use you body mass to disrupt your opponent so their own system is unable to generate force. But that is only possible if you can do they other bits first. 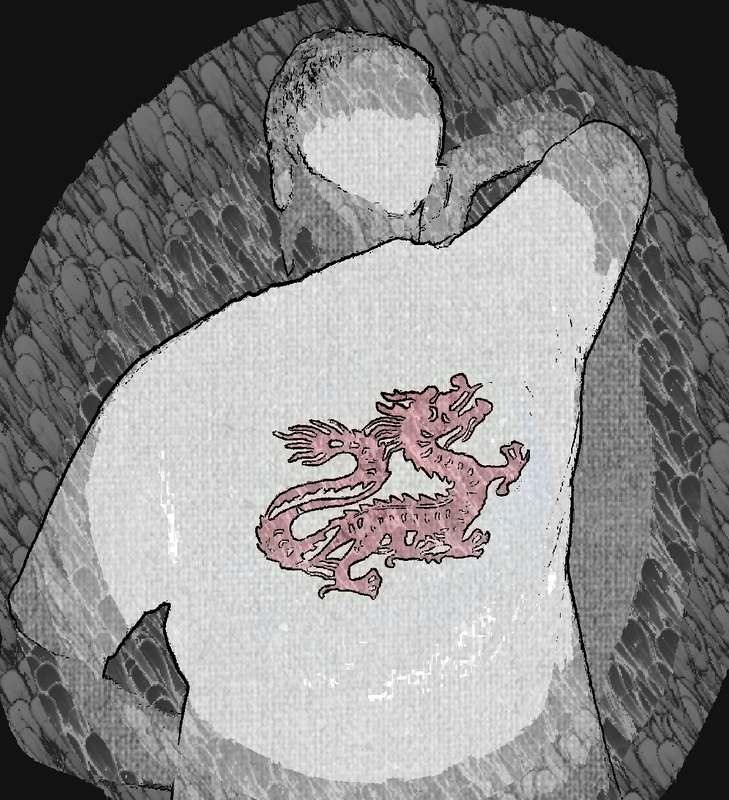 This way of wing chun, this way of thinking, differs for other wing chun systems. Good for them! If the arm skills are sufficient for their needs and are not causing them long term body difficulties then no problem. Hopefully their methods also allows for improvement and better body use as they get older. 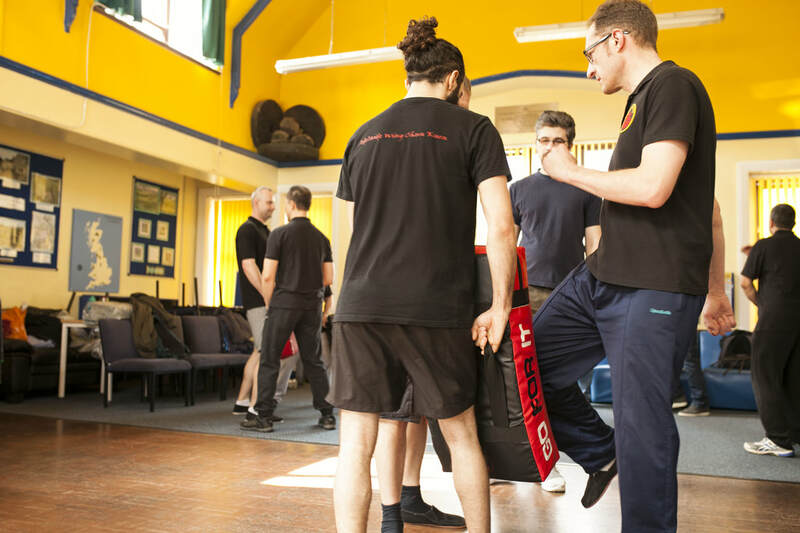 A martial arts system that does the opposite is not a fit system of self defence. So, find some time, find a quite space, let go of your ankles, your knees, your lower back, your tail bone, think up through your spine, think open chest, let your shoulders be supported by the body below it, be supported by the up thrust of the anti-gravitational muscles. Let go of your neck, allow the head to release from the spine, the arms to hand lightly from the back; no tension in the jaw. Don’t pull yourself down, you have no idea of what your body will feel like, its relative shape, when you start to release more tension, so just take up all the space you were born to occupy and give yourself time to release. It is an investment which will pay dividends. 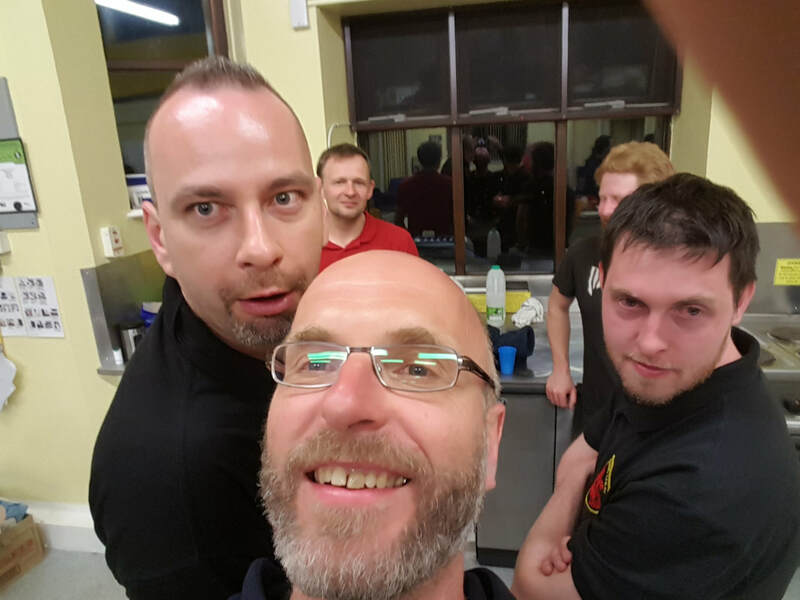 The April 2018 Gathering was only meant to be a small affair where our local students and a few who travel further could meet up and train in a relaxed environment for a long weekend. 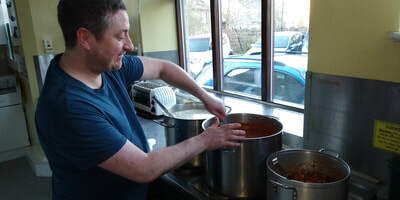 Due to demand it did rather grow; it was limited to no more than 40 each day but we still had people from England, Scotland, Wales, The Netherlands, Czech Republic, Poland and Australia! 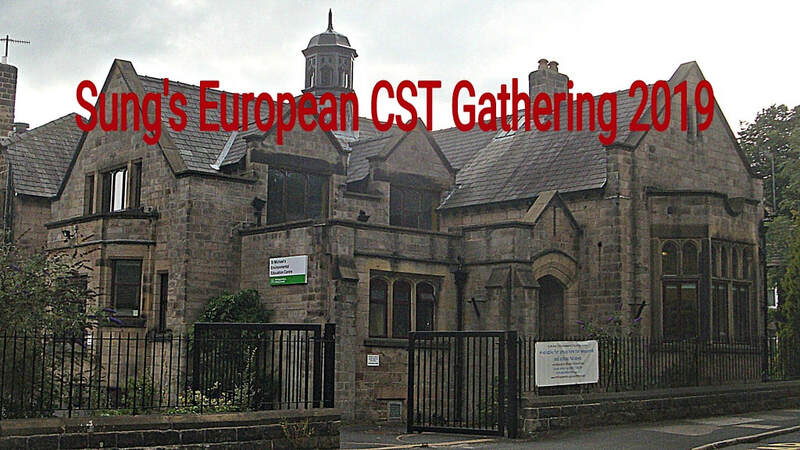 Not so much a European gathering but an international one. 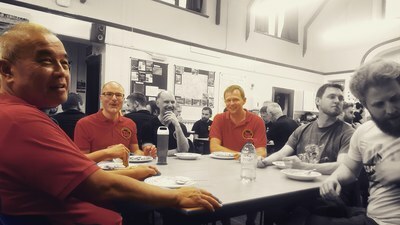 For me it was a nervous time just before kick off as I am a bit of a control freak; I wanted the conditions to be right so that people with a similar goal could train, share and relax (including me) . I do not how but I got it right, the weather, facilities and food was perfect. But most importantly the people were all great. There must have been 300 years of combined experience there over the weekend and it really showed. 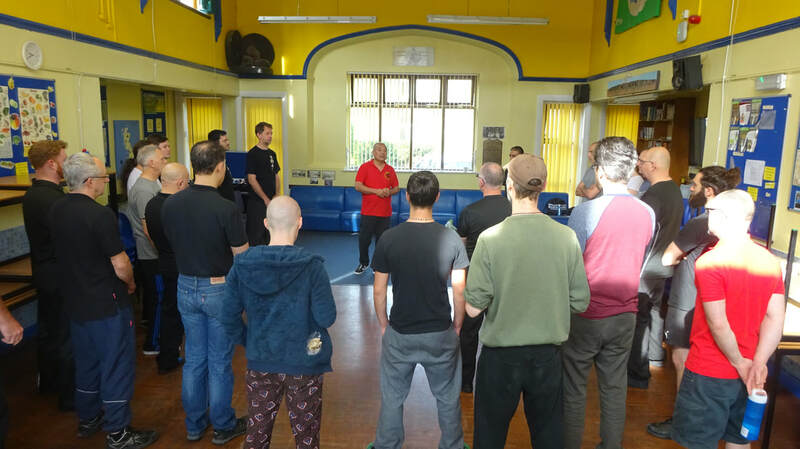 Particular thanks has to be given to Mark Allanson for coming and helping, including giving two kicking seminars. He is a fantastic instructor and a great person. 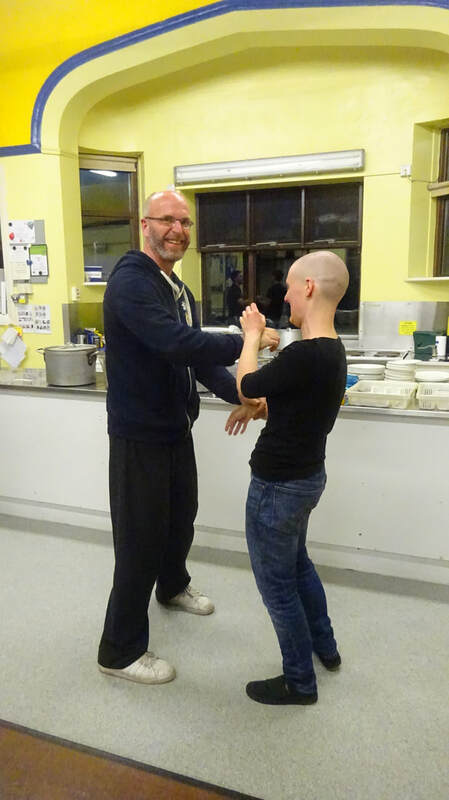 One of my previous blogs was called the ‘Oh Moment’ – I think a few people had such an experience over the weekend. 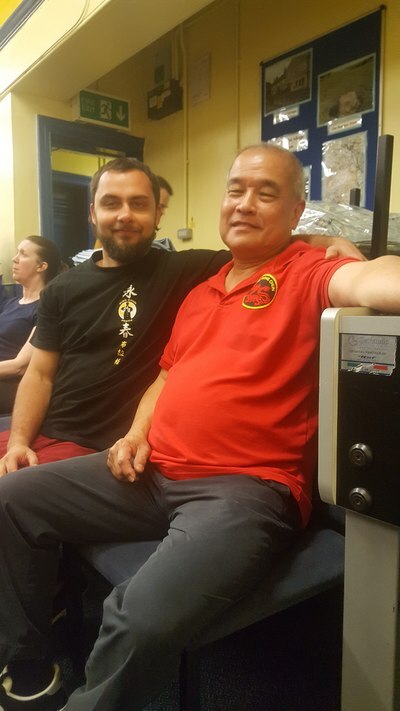 We had a picture of Sigung Chu Shong Tin watching us the entire weekend; it is because of him we were there, because of him I practice wing chun and because of him I have such great friends in Mark and John. I am not religious but I consider these are all blessings which have enriched my life greatly. The weekend was to honour his legacy and pass it on as well as we can (which is the whole reason for Sung Wing Chun). My promise is that we will do it again next year. I do not want it to be much bigger (if it is not broke do not fix it), ideally we will get the gang back together and maybe have more mini seminars, breakouts and chances to explore this great art. You know intuitively that you can produce a lot of power by pushing and pulling. If you have practiced this type of martial art before you also know that by relaxing and being a bit clever with subtlety, position and timing, you can make that pushing and pulling be very effective. In fact this is the basis of most martial arts whether they claim internal or external. There is another way which does not involve pushing or pulling, but it is so different it is hard to see. The brain tricks us because we can hardly perceive our own effort so we think we are totally relaxed. We are still tricking ourselves. If you really commit to giving up, then your mind will perceive great risk. With no pushing or pulling what is left? Your mind will believe you will be hit or knocked over and tension will kick in. If you can just hold out for a bit longer the muscles have a chance to elongate, to balance and a structure can take shape which is innate within you, the same structure that stopped you falling over when you learned to walk. 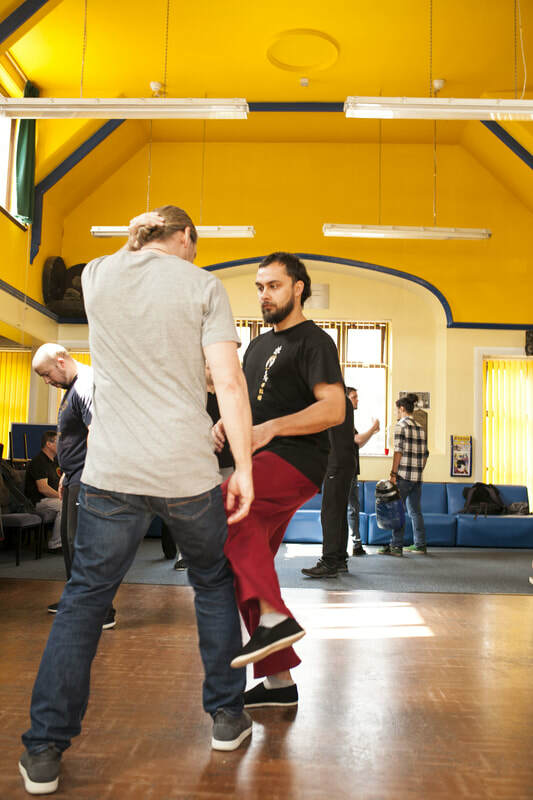 Our wing chun takes place at that point where you neither push or pull, you just set up your structure and allow movement to happen. Any force acting on you is dealt with by the bodies balancing mechanism. It takes a strong will not to react with habit, fear, compliance or anger; it is hard to hang onto an idea when faced with force and risk. But the whole point of training is to introduce these ideas in a safe environment and develop them. If you do not try it in class, how can you expect it to work anywhere else? This is not a lecture, I am talking to myself. 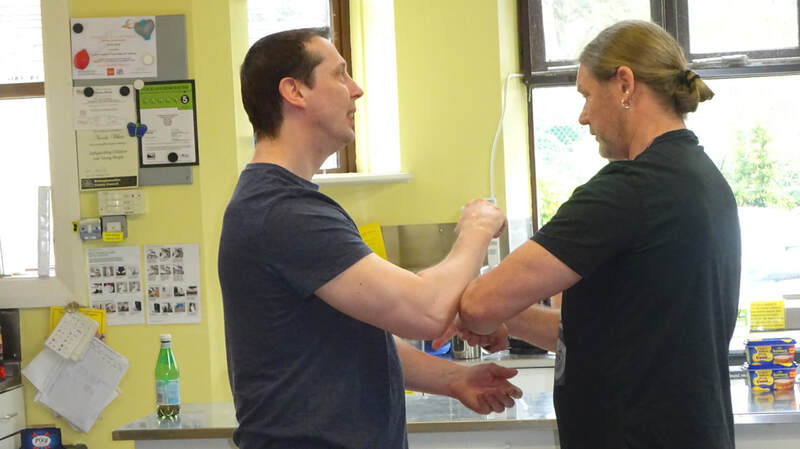 When you reach for your cup of tea, you can just use your arm to support the movement but as you accept the weight of the cup it will cause you to tense your forearm and shoulder. This is because the effect of gravity on the cup is slightly overbalancing you. No big deal with a small object, but if you are then reaching further, say grabbling a 2 litre milk carton across the table, the strain will have more on an effect on your balance and your lower back. Try thinking about this differently. Once in contact with an object it becomes one with you in respect of how gravity effects you. Instead of allowing it to pull you forward. relax and let the weight drop into your elbow, down your back and into the floor. Let your centre take the weight and allow your body to organise how it deals with gravity acting upon it. Gravity is the one constant in life your body is born to deal with. Several people have said to me that I chi sau differently from everyone else; they cannot work out what I am doing. That is because (good or bad) my movement is an expression of who I am and how I deal with gravity, it is not about contrived movement, position or technique. 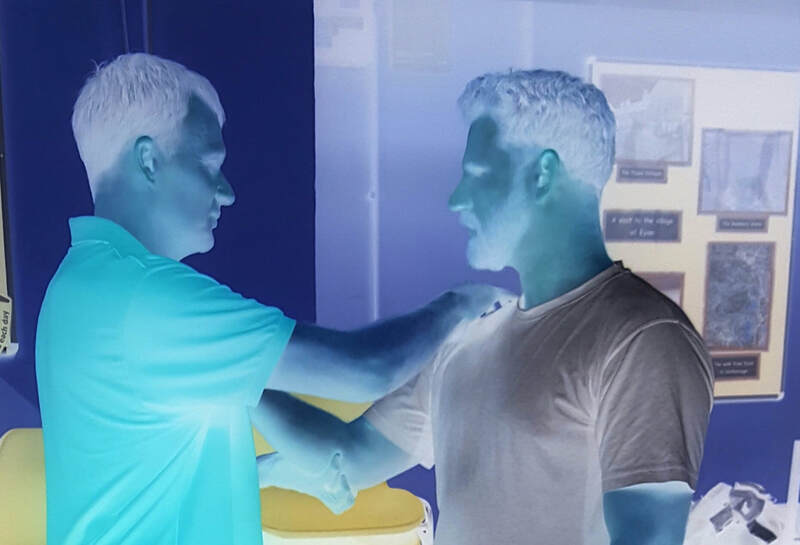 I do not want to conform to anyone else’s’ idea of what chi sau is, I want to make a connection so as to join you to my body’s own sense of gravity. 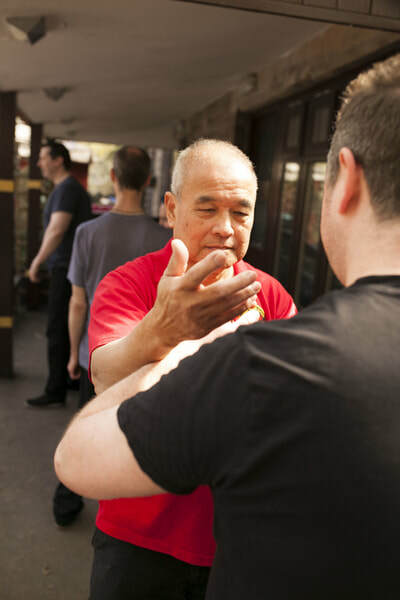 I do not want to connect a tan sau or fook sau with your arms, I do not want to stick; if I seek your centre it is for you to try to stop me and in a sense your force decides what arm movement becomes appropriate. By joining for a brief moment gravity has an effect on both people and by accepting and aknowledging that bigger picture the choice then is to control and hit, or extend the practice for longer and engage in chi sau. You can take the force of the other person and allow the floor to support it, or allow your body to organise itself so the other person has to deal with your entire weight (without pushing). The true skill is then to maintain that control of how gravity effects both people throughout chi sau, so you cannot be hit but can choose to hit from as many positions as possible. Chi sau without this idea, without this concept is just chasing hands. It is virtually worthless unless any opponent you meet in life is smaller and less aggressive than you, otherwise they will overpower your arms and hit you. You have to see the bigger picture of how you set up your body to deal with gravity (through standing practice), of how you move your limbs and body whilst connected to your centre (SLT, Chum Kui) and how you apply your body mass to someone else (chi sau). Without that it is mostly grown men playing patter cake patter cake.